See size comparison with a ruler. 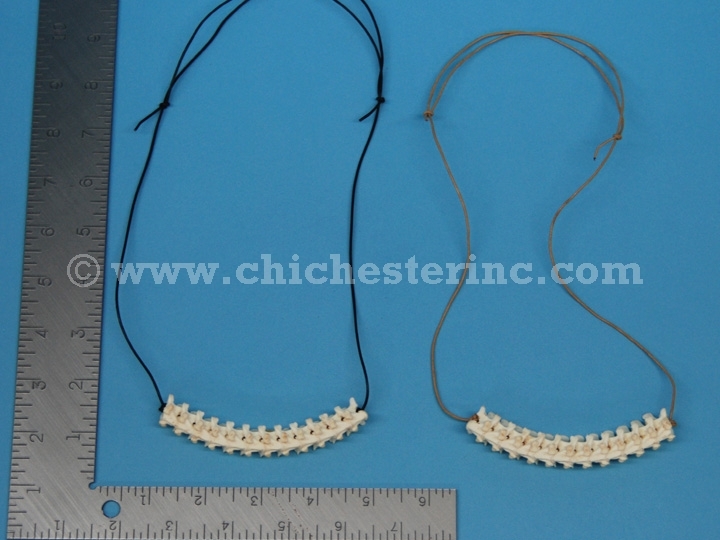 These are red tail boa vertebrae that have been strung on a black or brown cord. 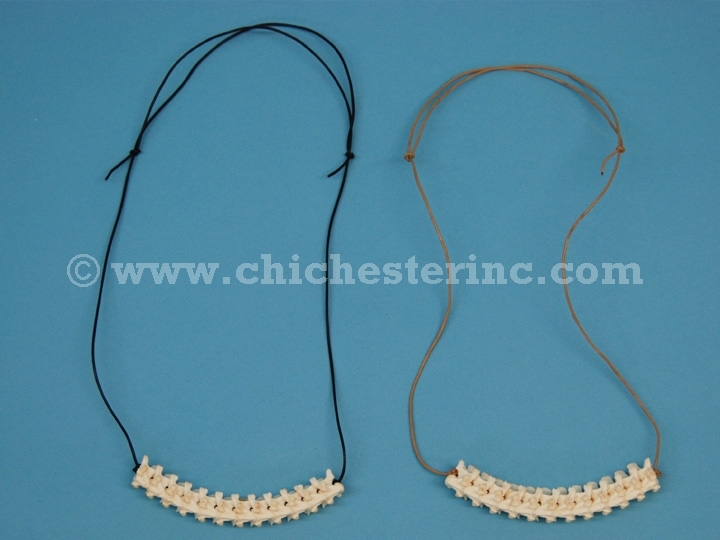 The vertebrae are approximately 4" long by 0.5" wide. 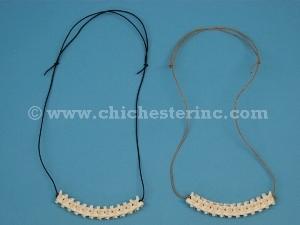 The necklaces are approximately 12" long and weigh 0.4 oz (12 grams). Genus and species: Boa constrictor constrictor. Wild.